Your high-end Burgundy Wine Tour elaborated by a French wine expert. Your Burgundy Wine Tour. Specific to Burgundy, the term “climate” is not related to meteorology, but means a parcel of land dedicated to vines, precisely defined and known by the same name for centuries. The location, soil, subsoil, exposure, microclimate & history determine the characteristics, the unique personality of a land and a vintage. The “climate” form a mosaic of prioritized & world-renowned wines. Sloping vineyards, the combined work of man and nature has created a culture whose success is considered as a world model, the reference of terroir viticulture. A true heritage. Welcome by a private English-speaking guide, specialised in Dijon history and Culture. 2-hour guided visit in the Capital of Burgundy, filled with elegant medieval and renaissance buildings. Visit of Ducal Palace and shopping with local specialties. Meet with an English-speaking driver who will drive you in a luxury mini van from Dijon to Beaune (around 1 hour) through charming wine villages and Côtes de Nuits vineyards. Check in at the 5* hotel. Relax in the hotel, have a drink at the bar or enjoy a walk on your own in the charming village of Beaune. A guide specialised in Burgundy wine and culture will meet you at your hotel and bring you to the restaurant where he will introduce you with the Burgundy wine appellations, soils, grapes and heritage. Just for you to become the Burgundy wine expert ! The guide will meet you at the hotel for a full-day tour in the Côtes de Beaune, south of Beaune area vineyards in a deluxe mini van driven by an English-speaking driver. You’ll stop at famous wineries to meet with the winegrower who will present himself his wines and tell you about wine making process. You’ll also be more familiar with the secrets of the barrel-making as you’ll visit a local and family-woned « tonnellerie ». Stop in a beautiful wine castle for another estate’s private visit. Private lunch in a castle. 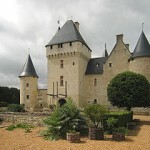 A private cook who previously cooked at michelin-star restaurants all over France will open his kitchen and reveal some of his recipes in the wine castle. 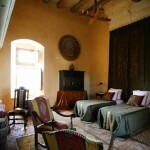 He’ll cook for you and in front of you while you taste and enjoy burgundy wines produced at the castle. Lunch will be served either in the garden or the private dining room. Chef will describe himself the food he prepared for you. Transfer back to the hotel where you can rest and/or have a drink at the bar. 3-course dinner in a bistro located walking distance from the hotel. Today, you’ll discover the Northern part of Beaune, Côtes de Nuits area, the limestone ridge that is at the heart of the Burgundy wine region, where famous côtes de Nuits wines are produced. Visit of Grands Crus Wine villages such as Romanée Conti, Clos Vougeot, Gevrey Chambertin, Nuits Saint Georges, considered as the Champs Elysées of Burgundy, and Aloxe Corton. Private Visit of Clos Vougeot, with its chateau standing majestically symbolizing Burgundy’s wine history and excellence and home of the Confrerie des Chevaliers du Tastevin. Visit of a famous wine cellar to taste the “crème de la Crème” Côtes de Nuits wines. Possibility to discover the making process of the famous local non pasteurized cheese, the Epoisses Cheese, and taste it with pairing Burgundy wine. Lunch in a village in Côtes de Nuits. Back to the hotel for a rest or a wine tasting with our wine expert at the lounge next to the fire place or on a sheltered terrasse. Last dinner in Burgundy is a blast: you’ll enjoy a 3-course dinner at the Michelin 3-star Maison Lameloise. You’ll be welcomed by a friendly staff and committed to the Lameloise spirit in a traditional Burgundian house made of stone walls and wooden beams, located in Chagny, 10 kms south of Beaune. Continental breakfast at the hotel. Morning guided walking tour of Beaune with a local English-speaking guide. Visit of the Hotel Dieu, which is part of the ancestral property of the Hospice de Beaune. A charitable organization founded in 1443. 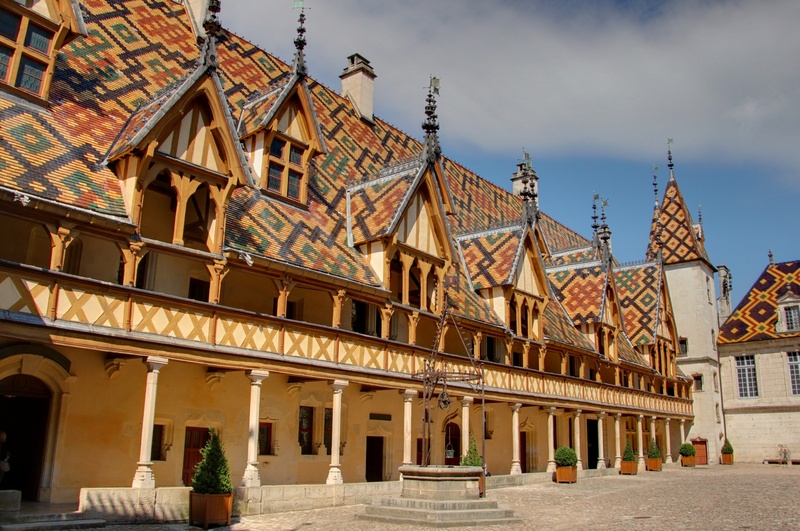 This emblem of Burgundy is a 15th century architectural masterpiece. Visit of Caves Patriarche, the largest underground cellar in Burgundy. Dating back to the 13thcentury, it holds millions of bottles in a 5km long labyrinth of galleries. Experience wine-tasting in the old cellar. 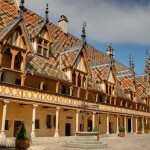 Also, stroll and shop through the charming old town of Beaune with splendid architecture and heritage. Light lunch in a bistro-style restaurant in Beaune or on the road to Paris. You’ll be driven in a deluxe mini van (around 3h50) to the city of Lights.